You check out Facebook and go through your News Feed. After engaging with a couple posts, you’re done. Close the app, set the phone down. You may not even notice it, but minutes later you’re back checking your feed again. What could have really happened in those couple minutes? Not a whole lot, but that doesn’t matter. For some reason, you can’t help but look. 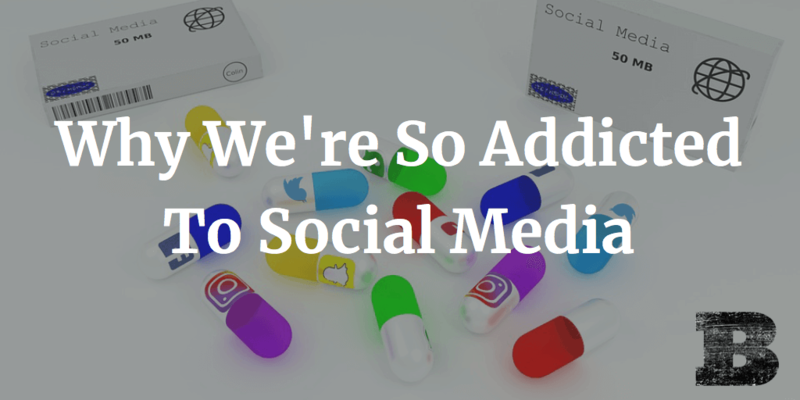 You’re addicted to social media and don’t know why. If you’ve caught yourself doing this with Facebook, Instagram, Snapchat, Twitter, LinkedIn, and other social media, you aren’t alone. While social has the power to connect us and keep us informed, it’s also become extremely addicting for many. Why is it we can’t seem to stay away, even when there’s nothing more to see? The answer is in the way our brains are wired. When we see a satisfying social media update, our brains release a little big of dopamine. This is the same chemical released when a drug addict gets high. That great feeling brain chemical gets us hooked and keeps us coming back for hit after hit, all day long. Social media creates dopamine loops. It starts you seeking that hit of happiness. When you find an update, you get the high you seek. But quickly it wears off and we’re back to our phones again, looking for another feel-good high. So how does one break this addiction? Like any drug, you’ve got to get yourself off it. Not checking your phone is easier said than done. When we’re in the habit of looking at our phone in every free minute throughout the day, it becomes very hard to divert our attention to other things. Often it can be helpful to distract yourself with more meaningful uses of your attention. Read or write. Invest your time in a hobby. Meet with friends in real life. Find ways to keep yourself busy and happy so you don’t need to search for that high from social media. It’s also helpful to break your routine. A vacation can be a great time to focus elsewhere and enjoy yourself without the need for social media. Once you’ve broken yourself of the habit, don’t go back to it unless you’re looking for a relapse. Like any recovering addict, the risk of returning to old habits is always there. The problem of social media addiction continues to grow around the world. Many are now recognizing it as a real condition and treating it with inpatient care as they would any other drug problem. By recognizing our own addiction and taking steps to wean ourselves from our digital drug of choice, we can find real happiness that doesn’t come in small ‘Like’ bursts.